Use the orange RSS/XML buttons (they're everywhere nowadays) to get the latest Web pages from Max the Schnauzer, as well as the latest news from the schnauzer world. It's like having your favorite parts of the Web come to you. No need to go out and check for updates all the time. No need for bookmarks! RSS is a wonderful piece of new technology. It stands for Read our Schnauzer Stories. Actually, that’s not true! It really stands for Really Simple Syndication. That's just a fancy way of saying that you can keep up with all the updates to Max the Schnauzer without having to check the site every week to see what's new. Whenever Max or I put up a new page or update an old one, we release it through RSS. Yes, RSS is amazing. If you can't tell, we’re completely addicted to it! No e-mail. No spam. It's so easy to subscribe and unsubscribe. We don't even know your email address - it's all done automatically out there in Cyberspace! If you get tired of us (sob! ), you just have to delete the feed. It's awesome! And once you start, you can track all your other favorite interests and news in the world. Select Copy Shortcut (Copy Link to Clipboard for Mac), and paste that URL into your RSS Reader. PS. Don't want to download new software? Google, Yahoo, MSN, Newsgator and Bloglines all have simple one-step solutions. 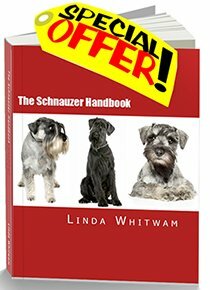 Just click on one of the those buttons under the RSS on the left of every page on max-the-schnauzer.com. If you don't yet have an account, you can set up one after clicking on the button.